Coupons for Restaurants and other beverage stores. Get an additional 20% Off Activities, Massages, Dining & More at Groupon.com by applying the code online at checkout. Offer valid on Select Accounts. This actually works! Awesome. Thank you. For getting this offer you can checkout online at site. Get Lunch - Pasta with marinara sauce, your choice of 4 meatballs For $3, for Ikea Family Members. Vitacost is offering 20% off Pacific Foods. No promo code required. Exclusions Apply. Groupon offers an additional 50% Off Select Deals (Select Accounts) by applying the code online at checkout. Offer valid for select accounts. Groupon is offering $5 Off $20 Local Deals (Select PayPal Accounts) using this code online at checkout. Get 20% Off Le Creuset Stainless Steel at Williams Sonoma. Promo code not required. Offer valid on select styles. Free Shipping with $49+ Purchase. Get 10% Off With Valid Student ID at Participating Locations only at Subway. No coupon code required. Living Social is providing Free Shipping on all Purchase (No Minimum) using the coupon code online. 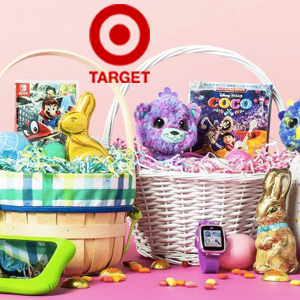 Shop at Target and get, Up to 25% Off Patio Items + Extra 15% Off Furniture, Rugs, Cushions, Pillows And Lighting using this code online at checkout. Also get Free Shipping on $35+ Purchase. Get 20% Off Online Purchase at Williams Sonoma. Apply the coupon code online the discount. Groupon is offering 20% Off Local Deals + 10% Off Goods and Getaways by applying the promo code given below.